Nicky Whittall - Independent Stampin' Up! 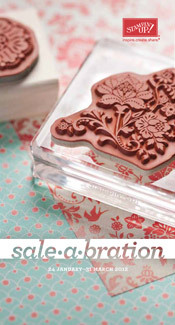 Demonstrator - Cavalier Crafts: Exciting News.........Sale-A-Bration Is Here!! Yesterday saw the launch of the most exciting campaign (in my opinion) that Stampin' Up! run throughout the year. It runs between 24th January 2012 to 31st March 2012. CUSTOMERS - For every £45 spent (in one order) from the Main or Spring Mini Catalogue, you will be able to select a FREE SAB product. HOSTESSES - If your workshop or private class orders total £300 or more, you will get to chose a FREE SAB item on top of the usual Hostess benefits. 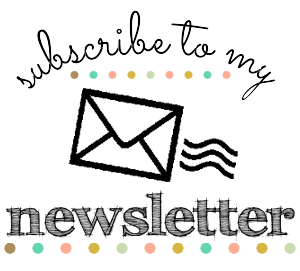 RECRUITS - If you sign up to be a Stampin' Up! Demonstrator during SAB, you will get a FREE stamp set of ANY VALUE from either the main or the new Spring mini catalogue. If you join 'The Cavaliers' you will also be given a welcome pack as a Thank You for joining my team.